For thousands of Australian individuals and businesses across the country, foreign currency exchange is just a fact of life - and also the cause of many a headache. Perhaps you're just making a payment for a good or a service that's located overseas. Perhaps you're sending some cash or a gift to another country, or heading there yourself. Maybe you're buying foreign land, assets, shares or bonds. Maybe you're in the foreign market game and you make money from the clever appreciation of currencies. Or perhaps you're an Australian business that makes money from importing or exporting or transacting with overseas entities. No matter what category you fit into, not losing money is the absolute priority when it comes from turning one fluctuating currency into another. For a business, one bad foreign exchange could wipe out a profit, and for an individual it could be the difference between a smart move and a plain rip-off. So how to navigate this complicated world of foreign exchange? It's a tedious and time-consuming process of browsing banks and searching for the best exchange rates, and if you skip a beat, the costs can spin out of control. For business, it can be even trickier. Fluctuating exchange rates and hidden costs can make doing a deal and clearing a profit almost impossible, detracting from day-to-day operations and making it hard to plan ahead, survive and thrive. Arm yourself with knowledge - and for foreign exchange, that 'knowledge' is ever-evolving. 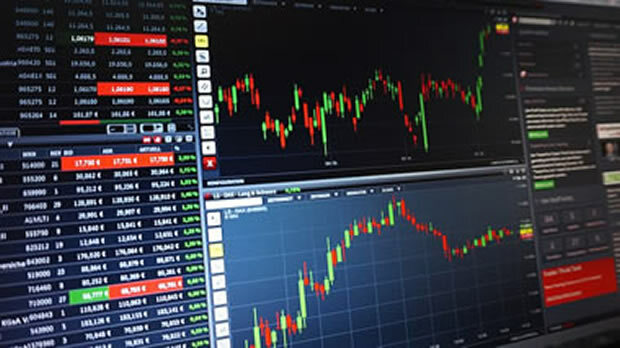 Those currency markets move up and down not only constantly but also sharply and suddenly, often as the result of significant political or economic news. If you're not sure exactly what the situation is with regards to those markets at the moment of your exchange, stop and take some extra time to make sure you know what you're doing. To many people, the exchange rate is just the exchange rate. But it's really not. Let's say you're using a bank - say, the Commonwealth Bank - to exchange some money to or from Australia. The rate that actual bank pays when you order the exchange is called the 'inter bank' rate, so look up what it is when you do your exchange and compare it to what your bank is actually telling you the exchange rate is for you (https://australiancurrencyservices.com.au/au/foreign-exchange/). Currency exchange entities including banks, brokers and specialist services are not all made alike, as their rates as well as their fees can differ significantly. So take the exchange provider you've used before, look into the rates and the fees and then start comparing it with the options. You can get a wide range of services at a bank like Commonwealth Bank, for example, but CBA exchange rates are often bettered by a foreign currency specialist. However, if you like who you're using and don't like the idea of change, get in touch and don't be shy to try to negotiate something better. All too often, foreign exchange services will make a great deal of noise about their awesome rates and stay very quiet about the extra costs. So never forget that a less attractive exchange rate allied with a low fee can actually be a significantly better option than an apparently brilliant rate with a suitcase of hidden nasties. A great way to test this is by looking into exactly what it will cost to do your exchange transaction, and then immediately (hypothetically) change that money back into the original currency. You might be shocked to discover the size of the bite out of your hard-earned cash. You need to get that money from one country to the other, and exchanging currency in the traditional way can seem like the only option. But thinking outside the box can save you an awful lot, because what some services offer is not just laughable, it's an offensive rip-off..
Peer-to-peer transfer services are becoming ever more popular, but for those doing regular business in a particular country for instance, opening an international bank account may also be something worth looking into. Better organising yourself is an often underestimated way to significantly reduce the costs of exchanging money. Remember that whoever you're using to help you do your currency exchange is a business, so they're factoring in a margin and paying for staff and overheads. So the more transactions you can cram into a single transaction, the lower those costs will be. Some currency exchange providers may even give you a really great deal if you can get the amount of a consolidated transaction over a certain threshold. If you're a business and the nature of your game means you're doing a lot of overseas dealing, you may have someone you always turn to for those exchanges. If that's the case, look into the relationship you have with them and see how it can be improved. Do they know you and your business inside out? Are you giving them access to enough information with plenty of time to spare to assess the best options as you go? Industry professionals have a lot of experience and expertise so you'd be silly to not be fully capitalising on it. Never forget: with a little bit of knowledge, planning and savvy, ending your headache and capitalising rather than suffering when doing your foreign currency exchanges is more than possible.